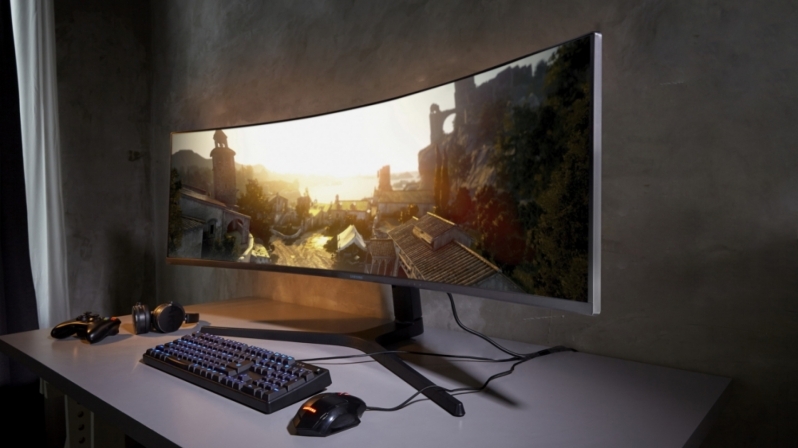 Read more about Samsung's Insane CRG9 5120x1440 FreeSync 2 HDR Display. That price is fairly reasonable, considering. Yeah that's pretty much everything you could want out of a display imo, not sure any single card could get 120Hz in most games given that's almost a 4K equivalent res so future proof in every sense of the word I guess. Wonder what the weight is. A shame that there is no Gsync.... i wonder how well it is with nvidia gpus... currently running a 1080ti so would need one of the two.